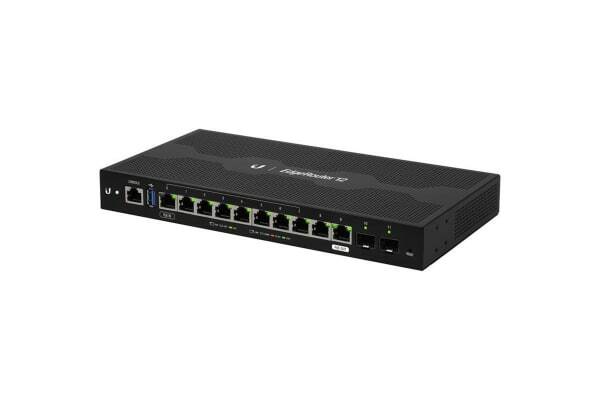 Great performance at a great price point, the Ubiquiti EdgeRouter 12 is versatile and perfect for all your networking needs. 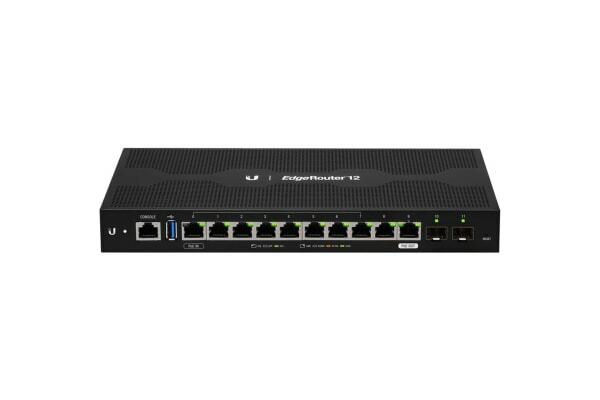 The Ubiquiti EdgeRouter 12 is perfect for connecting computers, servers and other devices to your network. Capable of 3.4 million packets per second forwarding rate and a line rate up to 6.8 Gb/s, the Ubiquiti EdgeRouter 12 is equipped with a powerful quad-core 1 GHz MIPS64 CPU and 1 GB of DDR3 RAM. The EdgeRouter is also rack mountable and is equipped with 10 Gigabit Ethernet ports, two SFP ports, and an RJ45 serial management port. The switch also has a PoE input port and a PoE passthrough port. Additionally, the fanless switch can be managed and configured via an integrated command-line interface or with the Ubiquity Network Management System software app. Set up multiple DHCP servers, assign different IP ranges in different subnets, control dynamic and static IP addressing, track network activity and create and organise firewall rules.